Call 406-203-4197 to schedule your first appointment. Miracle-Ear® is the ideal store to visit if you're looking for hearing aids in Helena, MT. When you visit our practice, our experienced specialists will help you find the best match for your needs. We are America's most recognized brand of hearing aids, and we have over 1300 locations nationwide. Our hearing aids using our GENIUS™ Technology can not only amplify sound to improve your hearing, but they can also pick up the conversations you most want to hear. There’s no need to adjust your position or your hearing aid manually because it will automatically find the right area to focus on whenever someone is speaking to you. We understand that this is a big purchase, and we want you to feel confident about your decision. When you buy a hearing aid from our hearing aid center, you’ll be able to try it out in the real world during a risk-free, 30-day trial. * If it isn’t everything you hoped it would be, just return the hearing aid to us. Stop by our location in Helena for a free hearing test. ** All of our hearing aids come with a warranty,† and you’ll also receive a lifetime of complimentary services. These periodic checkups can extend the life of your hearing aid and are available in any of the Miracle-Ear locations throughout the country. Call us today to discover and experience the Miracle-Ear advantage. My name is Pat Sponheim. I am the Miracle-Ear Franchisee in North Central Montana. I was born and raised in Great Falls and still live here. I have been in the Hearing Healthcare industry since 1990. I got into the hearing aid business because my grandmother was profoundly deaf and felt she never received quality hearing help. I'm active in my church. I love Montana and enjoy camping, fishing horseback riding shooting and handguns. I have two grown children who also live in Great Falls. My daughter Kerri is the Assistant Manager at Public Drug and my son, Kelley works with me at Miracle-Ear in the Great Falls and Havre offices. I own offices in Great Falls, Havre, Helena and Butte. I have one granddaughter Morgan who is my life. I am so blessed to love what I do and the people I work with. But the best part of my job is I get to help people hear which profoundly affects all aspects of their will-being while building relationships with clients and their families. Please call and schedule a FREE no-obligation hearing consultation. Hello, My name is Kelly Sponheim. I have been a licensed hearing aid dispenser since 2009. I decided to become a hearing instrument specialist for a few reasons. 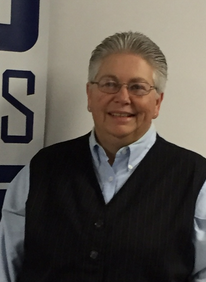 My mother Pat Sponheim is the franchise owner and family is a top priority for me. So when she asked me to come work for her it was a no brainer. As I started to train and study for my license I became excited about the technology in hearing aids and all that goes into them. I strive to keep up on the newest products available to give my clients the best hearing possible. My favorite part of this job is my clients. It is very rewarding to improve someone's quality of life and educate them about hearing. 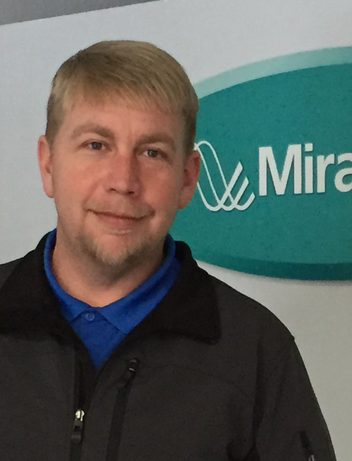 Customer service is the most important thing to us here at Miracle-Ear, our prompt service, and strong aftercare program will make your decision to come see us an easy one. A little bit about myself. Being born and raised in Montana I love everything outdoors fishing, boating, camping and just being outside. I also enjoy working on my old house, it has been a labor of love for the past 10 years and still an ongoing project. I have a passion for old cars and trucks. I am in the process of restoring my grandfather's old Chevy pickup a project that is very near and dear to my heart.